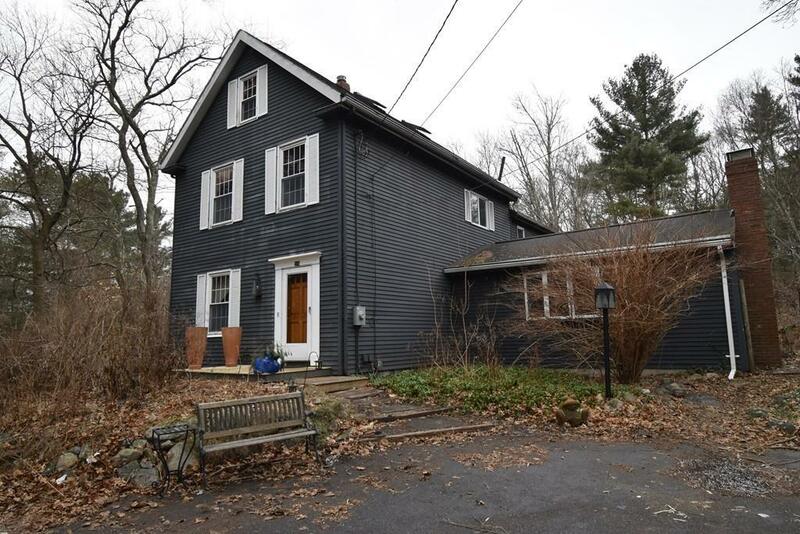 Wonderful spacious Antique colonial. The first floor has 5 rooms which includes a Banquet size Dinning room, Eat in kitchen, Library/Music Room, Great Room with an extra large fireplace, Den & laundry room with 1/2 bath. . There are 3 Bedrooms on the 2nd floor. The master has it's own private staircase, vaulted ceilings, a balcony, an abundance of closets & a full Bath . New carpet & freshly painted in the 2nd bedrm & new carpet on stairs to the 3rd floor. The finished 3rd floor could be another master , aupair or Children's hideaway. A separate building heated with a pellet stove great for an office, yoga or art studio. A NEW 4 BEDROOM SEPTIC SYSTEM is being installed. All tucked away on itâs own private acre with a Koi pond & waterfall. Very convenient location easy access to schools, highways & shopping. FUTURE home owners & contractors bring your creative ideas & make this home your own.